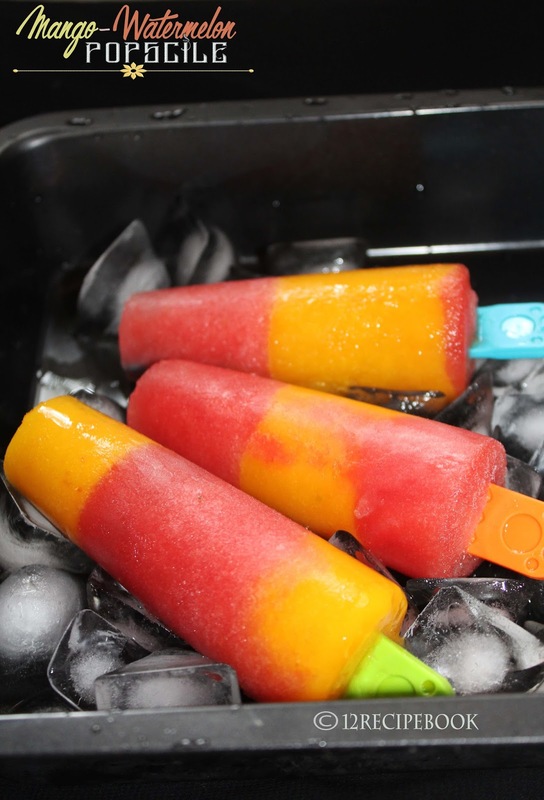 Popsciles are great summer treat for kids. We can made it with any tropical fruits according to our choice. It's healthy and Of course far better than store bought. Here is a lovely popscile recipe using mangoes and watermelon. Blend chopped mangoes along with milk, sugar and cardamom powder to a smooth puree. Next blend watermelon pieces with lemon juice and sugar until nicely blend. 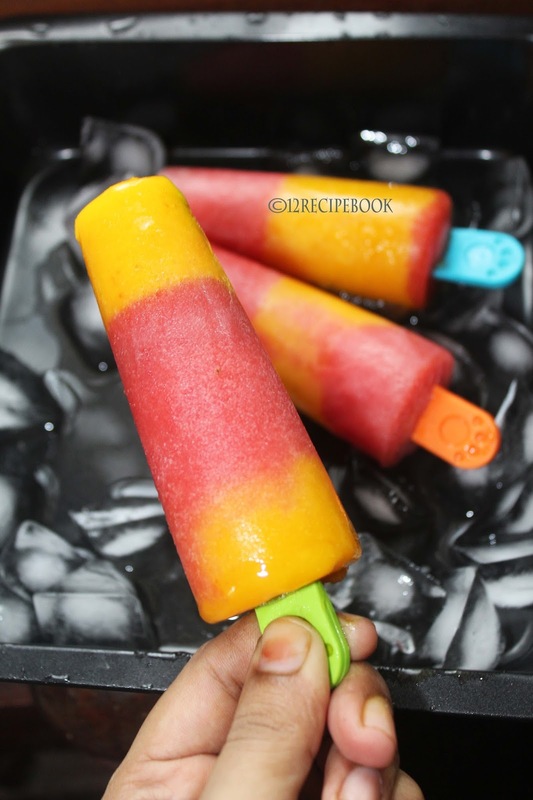 In the popscile mold add little watermelon juice (or mango) and freeze it for an hour to set slightly. After one hour add mango juice mix gently on top. You can top it with many layers as you wish but freeze for an hour to set each layer and add the next layer (Keep the juice mix in fridge until fill it in the popscile mold). By finishing all the layer; freeze for overnight to set. Carefully remold by applying running water under the kulfi mold.